The 2014 Lake Sonoma 50 Race Report! A year after one of the biggest debacles of my short running career I found some redemption out on the beautifully brutal Lake Sonoma 50 course. I had no excuses this year; I was well-trained, well-fed, well-rested, felt mentally prepared for the low spots, etc. Every excuse I offered last year wouldn’t fly this time around so I had to come with the A-game; even though this was a “B” race, I treated it like I had something to prove. I had to prove to myself that I could at least master the demons that had been in my head since last year’s disappointment. I think after last year’s race I was left with two choices; there was the one that appealed to the lower self; the “I don’t think I can do this” thoughts- those negative, soul-eating, self-doubting trains of thought that plague the mind. Then there was the “oh, I have to respect the distance, train smarter, recover better, do more downhill repeats, take in more quality calories on the run, enjoy the scenery, run with friends more, ask a lot of questions” type of thoughts, the ones that continually reinforce the reason I do this and then ultimately feed into my raison d’etre. After all, how I train and run ultras is really a metaphor for how I prepare for life. Believe you me, the people I’m surrounded by will point out the areas where I’m coming up short, where and when I’m half-assing, not pulling my weight, etc. They also provide positive feedback, point out the instances where I’ve stepped up and put on my big boy pants, all that. The trail can humble you if you’re not ready for it; life will also bring you to your knees at times. How you prepare for both is how you’ll succeed. This is what I’ve found. The completion of the LS 50 marks the first phase of a huge training block to get ready for my first 100 in June; a warm-up 50-miler seven weeks after a warm-up 50k. Then in four weeks I’ll run (not race) my first 100k and five weeks after that we’re going to San Diego. So I’m smack dab in the middle of hundred mile training, starting on phase 2 (which hopefully includes back-to-back 100-mile weeks around Miwok 100k). I just mentioned my idea is to not try to race Miwok and just use it as a really long training run, just spend as much time on my feet out there just figuring stuff out. So back to the actual LS 50 race report; since this was only a “B” race (I hate saying that because it sounds like a cop-out if I fail) I tried to temper my goals to what I actually wanted to do, which was run as strong as I could the entire race. So, in effect I gave an “A” race effort for a “B” race. After a pretty lousy night sleep, I hit the alarm at 4:40 AM and got to making coffee. After last year’s coffee-making mishap (basically I had to make cowboy coffee using the hot water out of the tap, the crappy hotel room maker was ineffective) I brought my own French press and self-boiling electric teapot. So I had excellent, strong black coffee this time. Yep, I can be a bit of a control freak. I kind of went down a mental checklist of things that I could control that might go wrong, like “what if the car doesn’t start?” and “what if I roll my ankle going down the stairs out to the car?”. I wondered where these thoughts were coming from, having nary a negative thought the last few months regarding my running. I then resolutely turned my thoughts to all the things that have gone RIGHT to get me to this point. I would have to have a sharp mental focus today, not to mention a good sense of humor. I laughed it off to pre-race jitters and kept going over the mantras in my head. Right, I have to respect the fact that I’m going to be out there for the better part of a day going a pretty long distance. To put it in perspective, I have to tell myself that I’m going out to run a marathon. Then, I’m going to turn around and run it again. 50 miles. So the start line; per usual is all nervous chatter, jittery folks. I tried to find Kevin and Jim, my buddies from the training run a few weeks ago I spent a ton of miles with. Kevin was awesome, he’s a backpacker that got into ultras because of its similarities to fastpacking. I picked his brain on that training run about everything 100-mile related. Jim is a sponsored triathlete making the switch over to ultras. He kept calling me “Philly” (where I grew up) and said us East Coasters were tenacious and scrappy. No luck, but I found my buddy Greg, said “what’s up?” and also this dude Matt I ran a bunch of miles with at the Coastal 50k last September. I didn’t even hear the “GO!”, I just saw everybody lurch forward and start trotting. I hit the “start” button on the Garmin and was off. The first few miles felt effortless on the road to the trailhead (I think it’s like 2.3 miles) and I felt really relaxed. My plan was to take it as easy as I could until I felt like it was time to start pushing the pace, hopefully after the turnaround at mile 25. I settled in with this really nice French guy, I think his name is Sebastien (I’ve seen him at a ton of races in the Bay Area). He said he’s still trying to figure out the 50-mile distance, but he looked solid all day to me. We would see each other a few more times. I also ran and talked with some really nice people, this woman Mary from New York, this guy Dustin from Folsom and this guy Scott from San Francisco by way of Rhode Island. We all chatted about this race and that, work, family, etc. It was really cool and helped to me get over any nerves I had early on. It also quelled my competitiveness, I figured “might as well make some friends because if this is going to be anything like last year I might be out here for 12-plus hours”. I alternated brief periods of “pushing it somewhat hard” and “just relaxing”; power hiking the steeper climbs and easing my way on the downs with gravity doing most of the work. Down to the water crossing before the Warm Springs aid I had the feeling that everything was going to be okay today. I greeted the aid station volunteers, got a refill on agua, dropped my arm warmers into my drop bag and got out of there. I was at exactly two hours and feeling really good. I charged a bit up the climb out of Warm Springs then settled back into a steady pace. It’s really tough to keep it slow when you feel good, but I was holding as much back as I could. It’s like putting miles in the bank; the slower and more controlled I kept it now the more I’d have when I really needed it during those last 5-6 miles. The first steep downhill is when I decided to go for it; I think that was around mile 14 or so, just a quick move to bomb a gnarly, technical descent. I passed a few runners here and rolled into the water-only aid at Wulfow Spring still feeling proper. A few more miles and it was time to get a refill on water at the 18.6-mile aid station where I saw some folks from the training run I gave a ride to, Gareth and Anna. They remembered me and I got a charge out of them telling me I looked really strong. They may have been lying but it totally helped. Now on to the biggest climbs of the day; it seems as if a huge portion of the almost 11,000 feet of climb are bunched together here so I’d have to control my pacing. Switching to power hiking was a welcome change, and if last year’s race was any indication I’d be seeing the lead pack come by me soon. At about mile 21 they came, and they were flying. It was Zach Miller, and he was about a minute up on Sage Canaday, Chris Vargo and Rob Krar. Then Alex Varner was about a minute or two behind that pack. I eased into a gentle downhill section that gave some of the best views of the day, and I was also psyched because the sun still hadn’t come out yet. Then another huge uphill section that seemed to go on forever; luckily I knew the turnaround was coming up and that I could linger there and really take care of myself; get topped off on fluids, get more Vitargo, switch out my empties, etc. Just before the aid I saw my buddy Kevin, we got to run together a few minutes, he again said I looked fresh and strong. “Is everyone lying to me?” I thought. I was arriving at 4:19 and thought that was pretty good and only a little slower than I wanted to (I was hoping I’d run somewhere around 4 to 4:15) but since I felt really good I figured I was pacing myself perfectly. Then at the aid I saw Ann Trason and considered that a really good omen. Jorge Maravilla was hanging out, too. I felt bad that he didn’t start today because that dude is the man, and he’s always up in the mix at the front of the race. I took off after maybe a minute and a half, chugging some electrolytes and water, and finally plugging in some tunes. I know a lot of folks don’t run with music but I need it when the pain starts to settle in. I also needed something at the beginning of my playlist to help hold me back and pace as evenly as I could; so of course I needed something with a driving, steady rhythm. Fela Kuti. To be honest, the next 13 miles were pretty much a blur. I went into a deep, unshakable focused state; kind of like a meditative trance. I was feeling really good, right up until the sun came out. It felt like it went from 55 degrees and overcast to 75 and sunny within minutes. For some reason, the sun’s rays felt harsh and oppressive rather than warming and relaxing. Pulling into Warm Springs #2 with Van Halen’s “Hot for Teacher” blasting in my ears was pretty awesome, I didn’t realize I was singing it at the top of my lungs coming down the trail until one of the volunteers was like “awesome song, dude!” I giggled, told them all I was so happy to see them as they (probably lying) told me I again looked really fresh. I was at 6:42 and only 12 minutes off my expected pace. I grabbed my last Vitargo, grabbed my other handheld, got it filled with electrolytes, had my primary handheld filled with ice and water and was off, I couldn’t wait to ice my legs for a minute in the creek crossing. On the next uphill I started to feel the twinges of cramping; it struck my left arm first, that inner elbow bend started to seize a bit. I tried massaging it but I figured my best course of action was to drink a bunch of water and get some salt in me. Then the twinges in the calves started. Then one in a new spot, my abs. I was off on the side of the trail peeing, and twisted in a way as to look back down the trail to see if anyone was coming and my right abdominal seized up, causing me to pee on my shoe. Next time, I’m just going to go. Nobody cares if they catch you peeing at mile 40 of a 50-mile race. Then the groin started seizing up a bit. Then the quads. By the time I rolled (hobbled?) into Island View aid at mile 45.5 I was steady shuffling. My friend from early in the race, Sebastien, had caught up to me right before the turn down to the aid and he looked really strong. He said he felt awful and was afraid to look at his watch. I told him he was doing great and we’d be done in less than an hour. The folks at the aid were awesome; these guys were hilarious. I ate a huge handful of jelly beans and drank almost a whole can of Coke. Then my buddy Kevin came into the aid. “Dude, you caught me!” I said as we high-fived. He was laughing and in good spirits; I took off and he caught up to me probably a half mile out of there. I figured better to get beat by someone you like than someone you don’t. But Kevin was there to offer encouragement, and I the same- because at this point the only thing that has any importance is just finishing. There’s no “race” this far back in the pack- we’re all friends just trying to git ‘er done. I kept saying, “go on, man- you got this” to see him pull away, if just for a moment then yo-yo back to me on the next downhill. I was cursing up a storm at this point, and to make everything just peachy the iPod lost power. Four hours of continuous play had drained the battery. So now it was just me and the pain, nothing to block it out. No sick beats from Outkast. No soaring anthems from Explosions in the Sky. No heavy metal thunder from Iron Maiden. Damn. I’d have to immerse myself fully in the river of pain. Pain is temporary. It may last a minute, or an hour, or a day, or a year, but eventually it will subside and something else will take its place. But then something clicked in me after I kept rolling that mantra around in my head; it was the realization that the pain hadn’t gotten any worse in a few miles and if I could just manage to not overstride and step as gingerly as I could yet continue shuffling forward I wouldn’t seize up again and that I was going to finish. I slipped past Kevin as he offered a “go get ’em” and saw the ONE MILE TO GO sign they placed on the last stretch of trail before the little road crossing. I also had a thought that RDs have a silly sense of humor, it’s probably more like 1.3 miles- I’m going to wait to start my “finishing kick”. This gives some insight as to just how fried my brain was; it was exactly a mile and I had nothing to offer in the way of “finishing kick”. 9:18:32, 80th overall. 66th men’s. A 3:07 improvement over last year. Yes, that’s three hours and seven minutes. 1) Running with folks is fun. People will tell you amazingly personal things about their life- something about running along a trail with a pack of other humans (for what basically amounts to a solid day of work or more) has such an instantly bonding effect. 2) The journey is far more important than the destination. 3) The journey that at once is both self-indulgent and self-effacing; there wasn’t a single runner I passed all day without asking “y’okay?” or “looking strong!” or at least saying something; looking out for each other is far more satisfying than beating these people in a race, and that’s the one thing that continually solidifies my membership in this tribe. 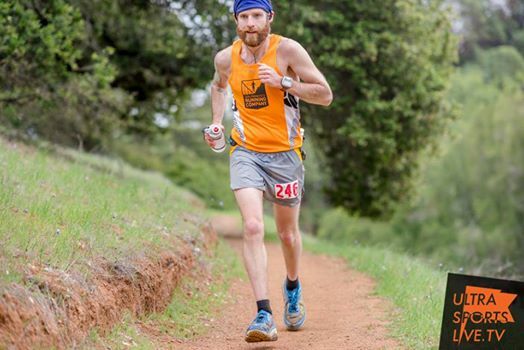 This entry was posted in Race Reports and tagged 50-Miler, Lake Sonoma, lake sonoma 50, Lake Sonoma 50 Race Report, ultramarathon, ultrarunning. Bookmark the permalink. 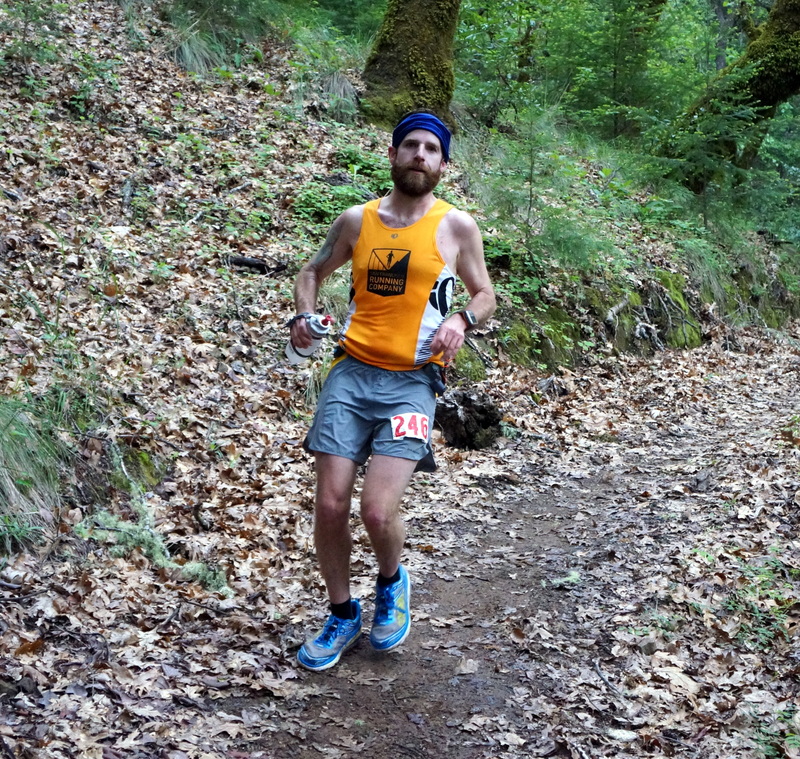 3 Responses to The 2014 Lake Sonoma 50 Race Report! Thanks Jimmy, I cried a little. I’d love to come support you in SD.